A magnificent and powerful choice designed for incredible versatility and fastest table tennis level, the Butterfly Zhang Jike ZJX6 table tennis bat maintains an unbelievable balance between spin potential, shot speed, and control to annihilate opponents. It’s endorsed by Zhang Jike two-times World Champion and Olympic gold medallist, and it’s designed to upmost precision with anatomic shaped handle offering superior manoeuvrability, handling and comfortable grip, whilst the 5-ply blade is incredibly sturdy and stable. Additionally, the blade is covered with high quality 2mm red and black Wakaba ITTF (International Table Tennis Federation) approved rubber providing supreme responsive feel and the much-wanted consistent bounce during long rallies. Furthermore, there is the edging tape to provide additional protection from damaging. for submitting product information about Butterfly Zhang Jike ZJX6 Table Tennis Bat We aim to answer all questions within 2-3 days. 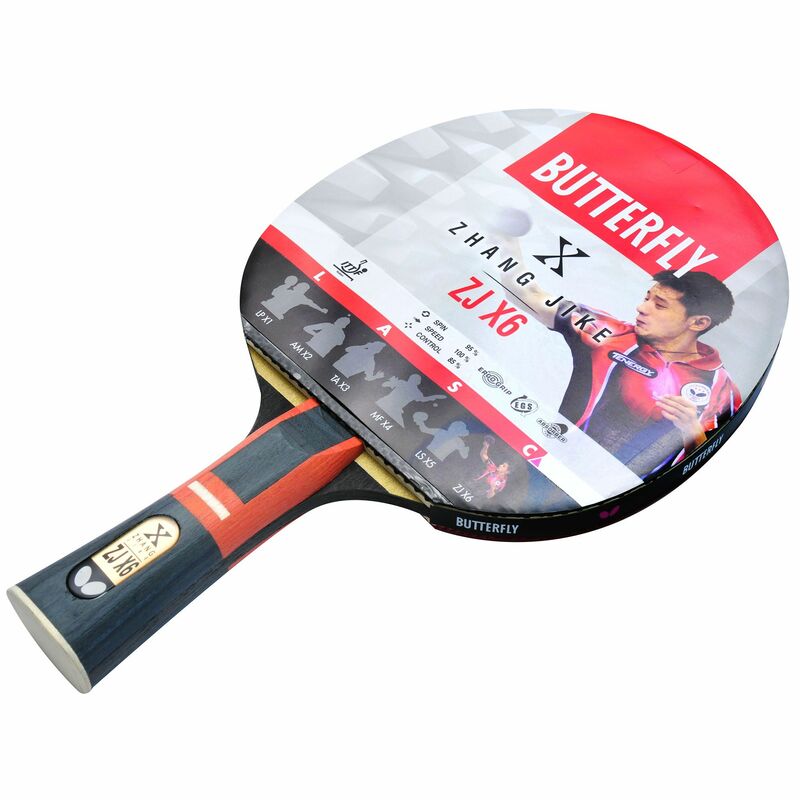 for submitting product information about Butterfly Zhang Jike ZJX6 Table Tennis Bat. We aim to answer all questions within 2-3 days. If you provided your name and email address, we will email you as soon as the answer is published. for submitting product review about Butterfly Zhang Jike ZJX6 Table Tennis Bat.